Buying groups, net pricing, designer discounts, stocking dealers—what’s a newbie to do? Read our primer on buying at Market, for starters. It used to be that retail buyers took top priority in Market’s storied corridors. Now, increasingly, designers are the big-time buyers. Scores are making their way each season to write orders, network, and sip adult bevs. We know you’ve got the latter two tasks on lock. But are you buying right at High Point? As the next generation of influencers and stylists takes its place alongside designers and architects—and digital innovation wreaks havoc on traditional ways of doing biz—it’s more important than ever to understand pricing models and how to use them to your advantage. First, get your terms straight. Most tags have more than one price. Net pricing refers to what designers pay aside from taxes and fees. This is the baseline number upon which your client commission is based. The retail price is what a customer (i.e. your client) would pay, and is usually 30 percent above net. Wholesale price is paid by a retail channel buying direct from a manufacturer, often white label. And the stocking dealer price is for retailers or designers who can guarantee a minimum annual order (the threshold varies). Want a deeper discount than that “net” line? Buying groups are an option for designers, especially those with smaller firms who are not landing the big-buck projects (yet!). Some are well organized, many more seem to be word-of-mouth coteries of small-business owners banding together to take advantage of a group discount. They can constitute a bigger consumer base for manufacturers and wholesalers—and can bring in a bigger discount for member designers. Swati Goorha, principal of her New Jersey firm, is a participant in a local buying group, and explains her experience: "It is based on the model of sharing discounts. The designers that have stocking dealer with a particular company will share their discount with the other and get a 10 percent commission on items sold through their account. This way it has become a group of designers buying and selling from each other, and trading discounts. This also helps designers maintain yearly minimums imposed by some companies." Something to scope out: StyleRow, a sourcing and administrative tool, allows designers to source from high-end brands and showrooms, streamlines workflow, and helps present your work to clients. The venture capital–funded platform was founded by Los Angeles interior designer Erinn Valencich. Sharing discounts with friends and colleagues is more of an off-the-radar scene. The scenarios vary. A typical case: A designer in a city who has a dedicated sales rep orders product for another designer located, say, in a suburban area who doesn’t have a rep in her region. Shady? Maybe. But, as multiple insiders share with BOH (off the record), the sales rep still gets credit for the sale, regardless of where the product is shipped, and both (or all) designers receive a discount despite not banking enough to qualify solo. Or one designer may have an account and qualify for a discount at Brand A, and the other at Brand B, but they share their earned discounts. 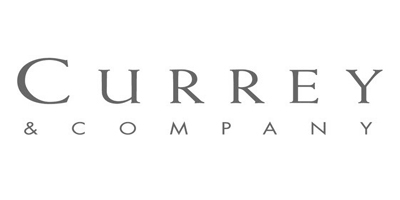 Most brands already have a set system; consider Currey & Company’s. The lighting brand groups its shoppers as follows: Designers and architects receive 40 percent off retail price, retailers receive 50 percent off, stocking dealers receive 60 percent off, and contract/hospitality buyers receive special pricing that is unique to each project and dependent on whether the buyer is purchasing what Currey & Company calls “container loads” of product. But before you decide to open up an amateur showroom out of your living room in order to qualify for that juicy stocking dealer discount, keep in mind that stocking dealers must spend a certain dollar amount each year and “must have a physical showroom with prominent displays of Currey products—in short, stock Currey products.” The proof of your designership is in your documents—namely, your tax number and/or business license—so register and come prepared with evidence. Be wary of buying as a stocking dealer and then selling as a stocking dealer to designer pals. Doing so can pose a conflict in larger markets, where big manufacturers cater to trade or retail showrooms, and an additional dealer in the region (read: you) would potentially threaten business. It’s understood that designers who buy from stocking dealers, or run their own shops, are only using that dealer relationship to buy for clients, and not sell to other designers. Denise McGaha ran her own buying group for years; these days, she’s a stocking dealer with many different brands, which can vary through the years. The Texas-based designer, who says her firm is more “higher-end than when we first started,” has some hard-won strategies for hunting new sources—and new relationships. She shares her tips for making nice with the manufacturers in your life. Know your partnership intentions for your projects. Understanding your clients and their budgets will help you develop a list of manufacturers to provide for those project parameters. Knowing your aesthetic and your brand is key. If you use mainly antiques and vintage items in all of your projects, then having stocking-dealer relationships might not be a fit for you. But if you find you are sourcing the same standard pieces for all of your design projects and have a favorite look, then finding a partner to deliver those will allow you to develop the strong relationships you need to deliver that look time and time again for your clients. Always know the top 10 categories you use on repeat. Set out to make sure you have very strong relationships with those manufacturers. Ask what the manufacturer is getting from doing business with you. Yes, they are selling product, but are you a great ambassador for their brand? Do you make them look good? Do you always call and complain? I always want to be a feather in their cap, not a pain in their backside.